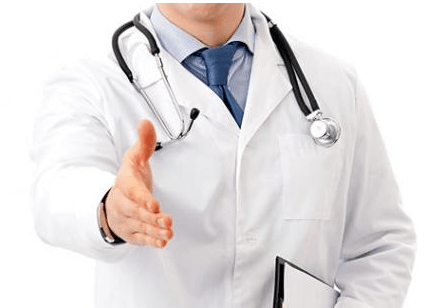 Employers are often unsure whether they have the right to ask for doctor’s notes (i.e. medical evidence) to justify employee absences, and unclear on how much information such notes should contain. Although vague or missing medical evidence wasn’t a sufficient reason to justify the employee’s termination in Sinnathamby v The Chesterfield Shop Limited, the Court found that her failure to provide evidence to explain why it took her so long to find another job was problematic. The Court found that the employee had been wrongfully dismissed; however, it reduced her notice period by 6 months due to her failure to mitigate by looking for alternative employment. Ms. Sinnathamby was 45 years old and had worked for the company for 14 years. At the time of her dismissal, she was a Senior Customer Service Agent without any managerial or supervisory responsibilities. The company had issues with her poor attendance record in the past, and had given her a written warning. When she called in sick, her manager reminded her that company policy required her to provide a medical note if she was going to be absent for more than three days. She failed to provide the appropriate medical notes, and was eventually terminated for not returning to work—i.e. for being absent without authorization. Although it was galling to the employer that the employee failed to provide the note as required, the Court found that it wasn’t sufficiently serious misconduct to justify dismissal. In particular, the Court noted that the employer had used progressive discipline in the past to deal with similar attendance issues. In this case, the employer could have demoted the employee, or suspended her without pay. The Court found that Ms. Sinnathamby was entitled to 10 months’ reasonable notice. She asserted that she had been unable to look for new employment for approximately 15 months after her dismissal due to the various medical conditions at issue. Courts are often reluctant to reduce reasonable notice periods because of failure to mitigate. However, in this case, the Court found that there was a lack of medical evidence to support the employee’s claim, and reduced her notice period from 10 months to 4 months. The employee claimed to have been suffering from depression, anxiety and other associated conditions. However, none of her medical evidence made reference to any such conditions, let alone went so far as to support the notion that she was unable to look for work for a 15–month period because of them. Employers may be disappointed with the result in this case. But take comfort—the courts can and do exercise their discretion to significantly reduce notice periods in the appropriate circumstances when medical evidence is insufficient. In hindsight, the employer in this case should have taken a more structured approach to managing the employee’s absence, including through the provision of additional warnings.